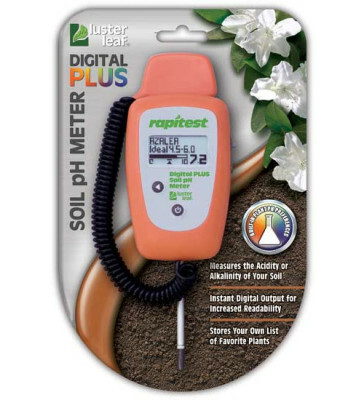 The Rapitest Digital PLUS pH Meter measures the acidity or alkalinity of your soil. 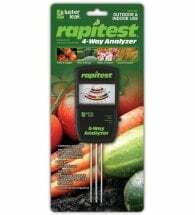 Includes a built-in database with plant pH preferences for over 400 fruits, vegetables, grasses and landscape plants. 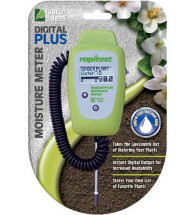 All results are displayed on the large, digital LCD screen, ranging from 3.5 to 9.0. Batteries included. One year warranty. FAVORITES: Allows you to build a list of the plants you are growing. When you have a favorites list, you can click on this function and go directly to your list of plants. BASIC MODE: Takes you directly to the pH test screen, without a specific plant selection. PLANT LIST: When selected, the screen will divert to an alphabetical selection. After selecting a letter of the alphabet, a list of plants that start with that letter will be shown. Choose the plant growing, or that will be planted, in the soil being tested. Push the select button. When the plant name is selected, the plant’s ideal pH range will be displayed. 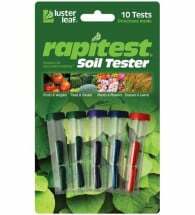 Test the soil following the detailed directions inside the package. 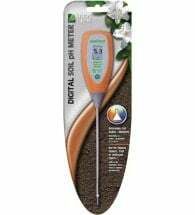 After you know your soil pH you can either decide to change the pH to best suit your plant(s) or select plants that thrive in your soil’s pH. 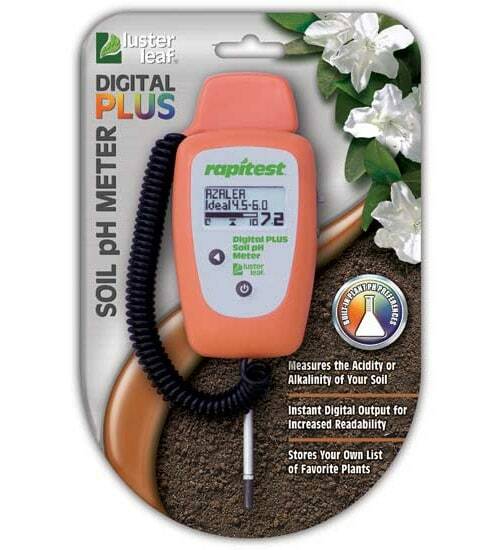 Complete details on how to lower or raise soil pH are included.